Lawton Buck Fleming, 90, widower of Dorothy Miller Fleming, of Greenville, died Saturday, December 1, 2018. 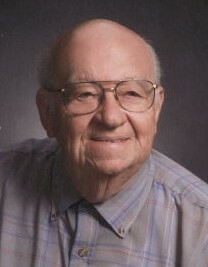 Buck was the owner and operator of Poinsett Printing Company of Greenville for over 40 years. He won national awards for printing and publishing. He was a past president of The Parker Rotary Club, and was also one of the original Gideons in the state of South Carolina. He was a member of Forestville Baptist Church. He served as a teacher, deacon, outreach leader and various other positions in three different churches including serving as a volunteer multiple times on mission trips to Haiti and Austrailia. Buck is survived by a daughter, Rebecca Kull (Phillip); a son, Dr. J. Paul Fleming; a daughter-in-law, Mylinda Fleming; a brother, William B. Thomas; eight grandchildren; and seven great-grandchildren. In addition to his loving wife, he was preceded in death by a son, Tommy Fleming. A visitation will be held Monday, December 3, 2018 from 1:30 p.m. until 3:00 p.m. at Forestville Baptist Church, with the funeral service to follow at 3:00 p.m. in the church sanctuary. Burial will be held in Reedy River Baptist Church Cemetery. Memorials may be made to Hopegivers International, P.O. Box 8808, Columbus, GA, 31908; and Gideons International, P.O. Box 140800, Nashville, TN 37214-0800. The family is at the home of his son.